A federal jury has convicted Andrew Otero and his company, A&D General Contracting, Inc. (A&D), on charges that they fraudulently obtained $11 million in federal contracts specifically set aside for service-disabled veteran-owned businesses. The jury’s decision was rendered on Nov. 21, 2018. The evidence demonstrated that Otero had no military experience. Yet Otero and veteran Roger Ramsey participated in a conspiracy to defraud the government by forming a joint venture (JV) – and falsely representing that Ramsey’s firm and the JV qualified as service-disabled veteran-owned small businesses (SDVOSB). 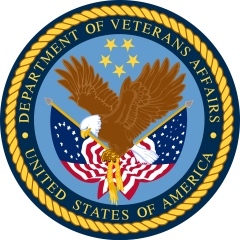 Based on the false claim to SDVOSB eligibility, the conspirators fraudulently obtained approximately $11 million in federal government construction contracts or task orders with the Department of Veterans Affairs (VA) and the Army Corps of Engineers (ACE). As proven at trial, the fraudulent conspiracy involved set-aside contracts that could only be bid upon by legitimate service-disabled veteran-owned small businesses – a designation that did not apply to Otero or A&D. To appear qualified, Otero and Ramsey initially executed an agreement to create the JV, which stated that Ramsey’s company would be the managing venturer, employ a project manager for each of the set-aside contracts, and receive the majority of the JV’s profits. However, as proved at trial, six months later, Otero and Ramsey signed a secret side agreement that made clear the JV was ineligible under the SDVOSB program. For example, the side agreement said the parties created the JV so that A&D could simply use the disabled veteran status of Ramsey’s firm to bid on contracts. The side agreement also stated that A&D – not Ramsey – would run the construction jobs. They also agreed that A&D would keep 98 percent of every payment. In addition to the secret side agreement, the evidence demonstrated several ways in which the JV did not operate as a legitimate SDVOSB, but was essentially controlled by Otero and A&D. For example, although Ramsey (a service-disabled veteran) nominally served as president of his firm and the JV, he actually worked full-time for a telecommunications company. Otero and A&D, not Ramsey, controlled the day-to-day management, daily operation and long-term decision making of the JV. Among other things, Otero and A&D appointed an A&D employee as the project manager for every contract and task order. The defendants are also facing civil charges consisting of alleged violations of the false claims act based on the similar misconduct. 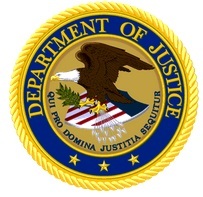 The defendants have been ordered to appear in U.S. District Court for sentencing on February 19, 2019.